The Confederation of African Football has named Sudanese officials to take charge of Kotoko?s CAF Champions League return tie against MC El Eulma in Kumasi Sunday. They include El Fadil Mohamed Hussein (Referee), Haitham Ahmed (AR1) and Elmoiz Ali Mohamed Ahmed (AR2). 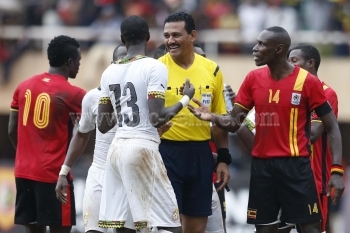 Hussein officiated Ghana?s 2015 Africa Cup of Nations qualifier against Uganda at the Namboole Stadium in Kampala in November last year. CAF have entrusted the responsibility on the experienced 39-year-old to steer affairs at the Baba Yara stadium. The Porcupine Warriors are hot favourite to advance to the final qualifying round after holding their verve in a 0-0 draw in the first leg. Kotoko last reached the group phase in 2007.